The launch of the social news site Digg in 2004 was the perfect example of a good idea at the right time. That was the year the term “Web 2.0” started being thrown about to describe the rise of new web technologies that allowed for more interactive sites, and an increased focus on user collaboration. Back then, the notion of a news site that was driven almost entirely by users was completely new and innovative, and Digg quickly rose in popularity. 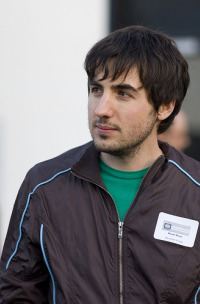 It sparked the rise of many similar social news sites, and was also the beginning of founder Kevin Rose’s move from television personality to web entrepreneur. But that was five years ago. Today Web 2.0 is old hat, and now it’s all about the Real-Time Web – a concept which includes updates from the likes of Twitter and Facebook. Digg has gone through some major revisions since its initial release, but at its core the site’s concept is still very much the same. There have been murmurs from Kevin Rose about taking Digg in a new real-time direction, but we’ve yet to see any progress on that front. That is, until now. As reported by Mark Milian over at the LA Times, Kevin Rose spoke about a few specifics of their real-time plans on a recent episode of This Week in Tech. The details are intriguing, but even more interesting is how these upgrades pit Digg against Twitter and real-time aggregators like Tweetmeme. We have to take a look at all the different sources of information and kind of just act as Switzerland. If we’re seeing a trend on Twitter, we can map that to the best stories on Digg. And if there’s other things happening on Facebook and other networks, we want to be able to pull all that in. When asked if their plans are similar to Google and Bing’s approach to integrating real-time results into search (which we covered previously here in this blog), Rose said that they’re working on a way to weigh twitter users by influence and not just follower numbers. Google’s real-time results, on the other hand, are largely unfiltered. Ironically, Rose seems to be aping the idea behind Google’s Page Rank algorithm by trying to curate real-time data. Digg’s recent acquisition of Rose’s Twitter-directory startup, WeFollow, will also surely come in handy when compiling that data. Rose’s proposed plan for Digg seems like exactly what we’d expect the social news site to do with real-time results. But I have to wonder if that’s enough for Digg. The site is still sitting pretty with traffic compared to other social news sites like Reddit, but according to TechCrunch, its traffic numbers are now half of Twitter’s. That same post also points out that Digg’s traffic dipped over October and November (although that could mean very little in the grand scheme of things). Ultimately, Digg’s competition runs deeper than just other aggregators – they’re competing with Twitter itself. In addition to posting short updates about their lives and chatting with other users, Twitter has also become a powerful way to share links. Popular Twitter users can broadcast interesting links to thousands (and in some cases, millions) of folllowers. Even more significant, the ability to instantly “retweet” links (RT in Twitter lingo) allows them to be volleyed to countless other Twitter users and their followers. Retweeting is also the magic behind the Twitter aggregator Tweetmeme. While the site appears to be just another Digg-clone on the surface, it’s actually completely dependent on your Twitter account. When you choose to retweet a story on Tweetmeme, that story also shows up on your Twitter stream. Because of that, Tweetmeme users don’t really go around pushing up stories willy-nilly. Nobody wants to be a link spammer to their followers, and subsequently more thought goes into a retweet than when Digg users typically up-vote a story. The ricochet effect from retweets is inherently unpredictable, but on the whole more valuable than a mere up-vote, as well. Retweets are a personal suggestion – from you, to your followers – that it’s worth their time to look at the link. This leads to more engaged readers, instead of a mob of traffic that’s just visiting to see why it’s so popular on Digg (or Reddit, or any other social news site). I hope I’m not coming off overly harsh on Digg. I have nothing against the site (even though I prefer the community on Reddit), it just seems like its time has come to pass. Digg’s real-time integration seems like it would do more to empower Twitter than anything else. I’m not predicting that Twitter will kill Digg, or anything that dramatic. There will still be a need for dedicated social news sites like Digg, no matter how popular Twitter gets. What I see on the horizon for Digg is mostly stagnation, and then eventually reduced traffic. 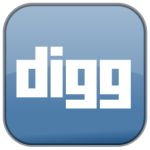 In a few years, Digg will most likely be looked upon as a vestige of the web that was. Twitter’s overall strength lies in that it’s not just a link sharing tool – it’s a communication tool. It has completely redefined the way I use the Web, and I’m confident that it’s here to stay. Image credits: Kevin Rose photo from Gizmodo. 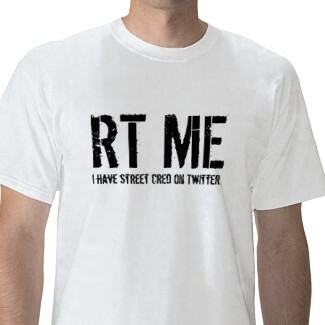 “RT ME” t-shirt from Social-shirt.com. Would you say the same of StumbleUpon? @Bob Personally I would not say the same of stumbleupon. Stumbleupon has a ton of spam on it in my opinion. While twitter does too I believe the cream of the crop will rise to the top on twitter because people will vote with their follows. On sites like digg, stumbleupon, etc the people vote but a lot of it is blind voting. I personally report about 10 spam articles on mixx.com every single day. Social sites like digg still have their place on the net but twitter and facebook is where the action is at now. This is an astute observation and a more telling statement on the 2.0 personal network social scene. As this extends the blogspheres initial underscoring of flexing ones cyber reputation online, so to will the nature of what I like to coin microaggregation evolve as well. Even though I am a Digger from the beginning their compromises in adding sponsor content etc have tempered their standing with me and as you say it will eventually be supplanted by my own personal network of uber focused content. Where it will come from is still anyones guess.